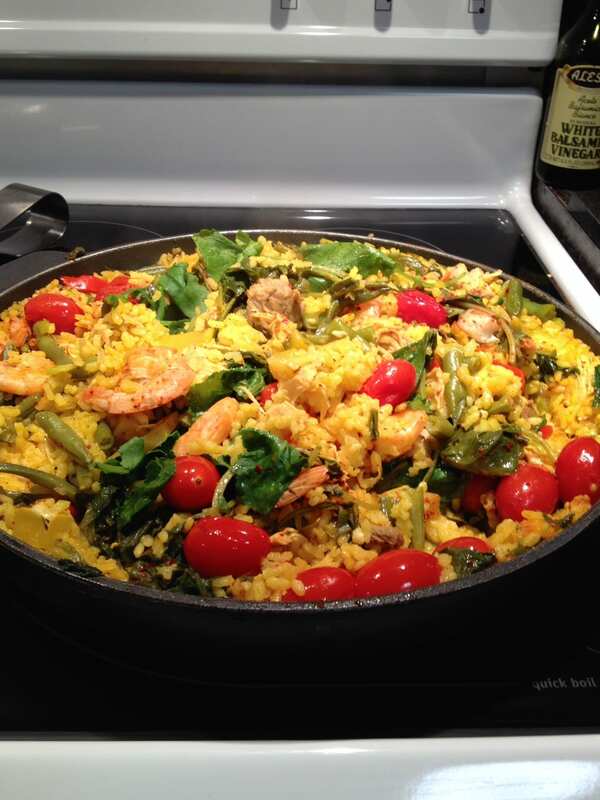 Simply Natural Gourmet Cookbook / Dinner Recipes / Satisfying and Healthy Spanish Paella!! 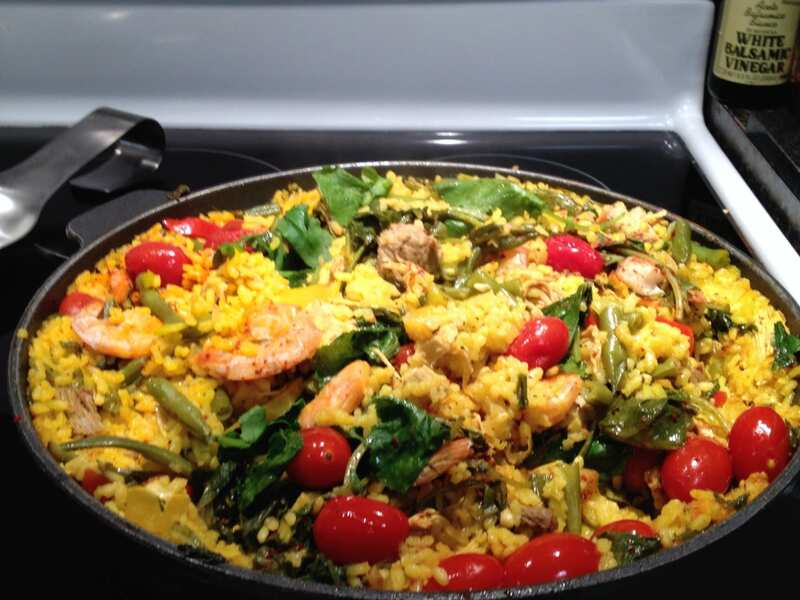 Paella can be made in so many different ways and with a variety of meats as well as vegetables!! My healthy version always uses vegetables, they round out the nutrition in the traditional dish that does not include them. Remember to always use either arborio rice or an authentic Spanish rice, goya, bomba or carnaroli and always use saffron!! I like to serve a plate of crisp romaine lettuce leaves with the Paella and or a crisp cucumber salad!! the bottom of the pan to caramelize into a crust which is called the socarrat. serve with a crisp cucumber salad and a good spanish wine. You can’t help but Enjoy this fabulous dish! !